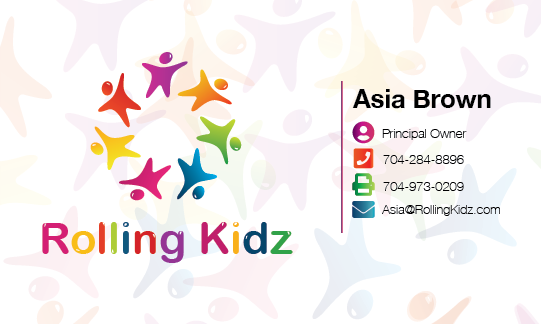 Rolling Kidz is a seasoned transportation company located in Charlotte North Carolina providing one way, two way and multi-stop transportation services to parents, guardians and others, usually for kids 2 to just under 18. Rolling Kidz has now expanded our operations to serve Seniors and Veterans and we are very excited about our future. Our new website features more information on the services we offer as we expand our operations. If you have any questions whatsoever please do not hesitate to contact a member of our Team and we will be happy to communicate with you by phone or email anytime. Our Team members have went through an in-depth prescreening process and each of our Drivers have an excellent driving record. If you would like to purchase a "Licensing Agreement" from Rolling Kidz that now includes Rolling Seniorz and Rolling Veteranz please click the button below or contact us for more information.